Gettysburg, Pa. (January 20, 2019) — OPEN MINDS announced that Margaret Conner-Levin, Senior Associate, OPEN MINDS, will be presenting at the annual leadership conference hosted by The Arc of Illinois. Her presentation “The Changing I/DD Landscape Across The United States”, will be featured during the two-day conference taking place on February 6th and 7th at the Hilton Lisle, in Chicago Illinois. 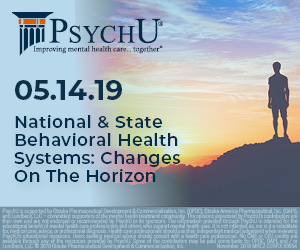 The conference will feature presentations geared towards educating senior leadership on topics such as policy and advocacy, national trends in home and community-based services, shifting landscapes, and ways organizations can overcome dynamic and challenging times. The Arc of Illinois anticipates 125 to 150 CEO’s and executives will be attending the event. Margaret Conner-Levin will be presenting during the conference on February 7th. Her presentation will focus on the national trends in the I/DD market landscape, the effects on managed care, shifting to value-based reimbursement, and strategies to address sustainability. Ms. Conner-Levin brings over 20 years of experience across the health care continuum to the OPEN MINDS team. Before working with OPEN MINDS, Ms. Conner-Levin served as the Chief Executive Officer of the Archway Programs, a non-profit service provider for individuals with disabilities, in Atco, New Jersey. To view Margaret Conner-Levin’s entire professional biography, please visit: https://www.openminds.com/team-members/margaret-m-conner-levin-msw/. Founded in 1950 by local parent groups through Illinois, The Arc of Illinois and its chapters have always been in the forefront of strong advocacy positions for people with disabilities and their families. The Arc of Illinois is fully committed to empowering persons with disabilities to achieve full participation in community life through informed choices.